Download your 40 Piece Challenge certificates now, in either black & white or colour! We love hearing your success stories, so do feel free to email us at australianpiano (@) halleonard.com.au and let us know how the challenge is working in your studio! Download your 2015 certificates here for those of your students who have learned 50 pieces this year! 2015 Challenge certificates are now available for students who have learned 80 pieces this year! 40 Piece Challenge Certificates for Overachievers! 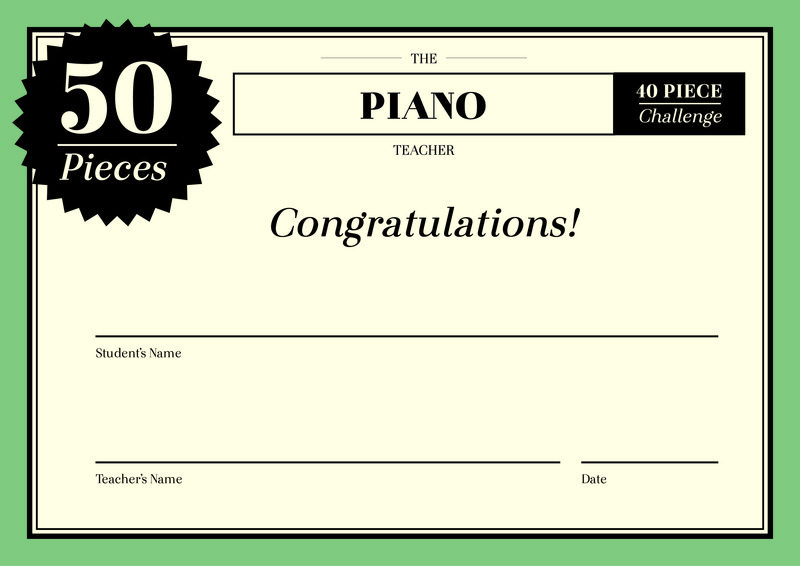 40 Piece Challenge certificates are now available for students who have achieved 100 pieces!